Click on each photo to enlarge. Descriptions are below. 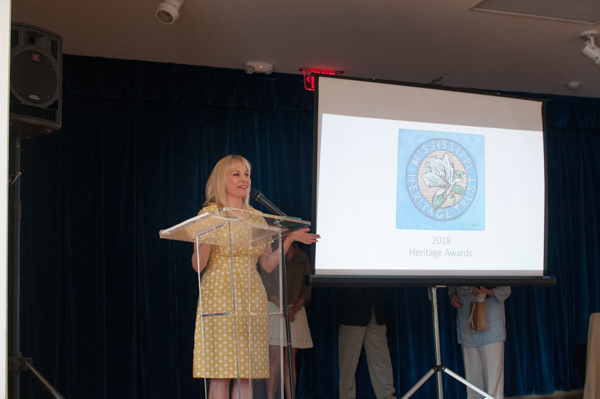 As stated by Columbus Main Street Director Barbara Bigelow in the Heritage Award nomination, citizens of Columbus see the recent $2 million-dollar restoration of their 1903 City Hall as a reflection of their city’s professionalism and a perfect representation of our city’s leadership. With the help of funds from the Community Heritage Preservation Grant program, layers of old carpet, tile and plywood were removed from the original hardwood floors, long lost fireplaces were uncovered and repaired and the exterior meticulously cleaned and repaired. Located in downtown Clarksdale, this 1956 International style building was in need of some major TLC. With help from a Community Heritage Preservation Grant and donated labor from Clarksdale’s firemen, a restoration that included repair of the original roll up doors, reroofing, masonry, electrical and interior finishes has given a twenty-first century polish to this midcentury gem. The transformation of the former Starkville City Hall and Armory into the new headquarters for the police department did not just happen overnight. Committed to restoring this stylish Art Moderne structure as part of an overall investment in downtown, the police department endured operating in seven different locations during the construction process. Under the direction of Shafer Zahner Zahner Architect, the restoration addressed both the interior and exterior of the building, which, in addition to administrative offices and an emergency command center, now includes a public meeting space that speaks to the City of Starkville’s commitment and connection to the community they serve. The people of Cleveland and Bolivar County have a strong preservation ethic, which is reflected in the care of their stately courthouse. Funding from the Community Heritage Preservation Grant program helped Bolivar County hire preservation architects Belinda Stewart Architects to address exterior masonry terra cotta repairs and interior plaster repair and the removal of window AC units, repair of original wooden windows and the installation of new central HVAC units. Funded in part by a Save America’s Treasures grant from the National Park Service, the restoration of this antebellum courthouse addresses chronic moisture intrusion and mechanical systems. With the help of Belinda Stewart Architects and strong support from the Madison County Board of Supervisors, this Greek Revival masterpiece is now in good shape to continue to serve as the heart of Canton and Madison County. When the original 1848 Pike County Courthouse in Holmesville was suffering from the ravages of time, the community jumped into action. 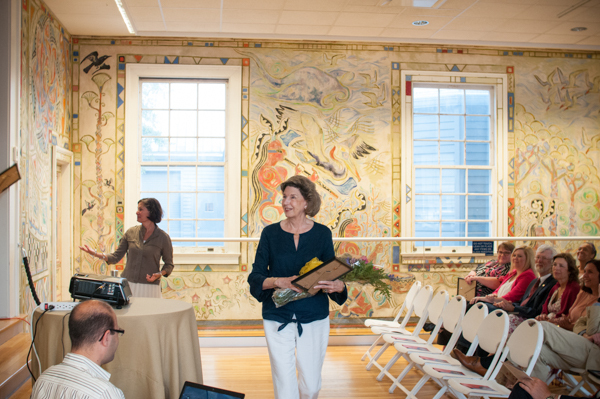 The Pike Historical Society and partners such as the Daughters of the American Revolution secured Community Heritage Grant funding and got to work to restore the building, which now serves as a voting precinct and community center. Constructed in 1951, the Administration Building of Hinds Community College in Raymond had suffered from years of unsympathetic changes. Under the guidance of Belinda Stewart Architects, bad choices such as dropped ceilings and the removal of a portion of the second story were ripped out and the original fabric was restored. Peeling away layers of bad rehab work is often the task of restoration architects. Under the careful hand of Belinda Stewart Architects, the interior of the 1914 YMCA building at USM once again shows the master hand of N.W. Overstreet’s original design. The two grand stairways have been reconstructed, dropped ceilings removed, windows and doors restored. The results are stunning. Little to no roof, broken windows, rotten or missing doors and a porch that had caved it-some people in Hazlehurst were calling for the demolition of the historic Millsaps Hotel. Not so the Calling Panther, Heritage Foundation, which had the building listed as a Mississippi Landmark and one of MS 10 Most Endangered and set to work. 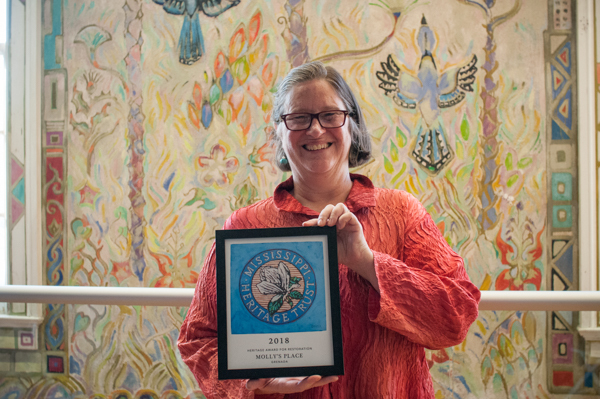 With the aid of Community Heritage Grants, the organization has completed over $400,000 in restoration work and is planning for the next steps to get this building ready to become a cultural arts center. Addressing repairs at the Rectory of the Cathedral of St. Peter the Apostle, the Durable Restoration Company ran into a major obstacle-a six-foot tall colony of bees had taken up residence in one of the columns. Following an effort to find the bees a good new home in Crystal Springs, restoration work including masonry, roof and carpentry was able to continue. Today, the rectory is beautifully restored and buzz free. When Civil Rights pioneer Dr. Gilbert R. Mason, Sr. built his office on Division Street in Biloxi in 1966, its modern design stood out. It still does. 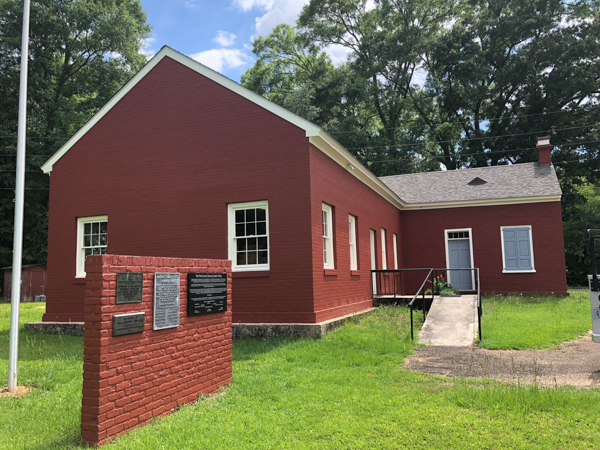 Dedicated to preserving his father’s legacy, Dr. Gilbert Mason, Jr. spearheaded the restoration of the office building, which was funded in part by a Mississippi Civil Rights Grant. 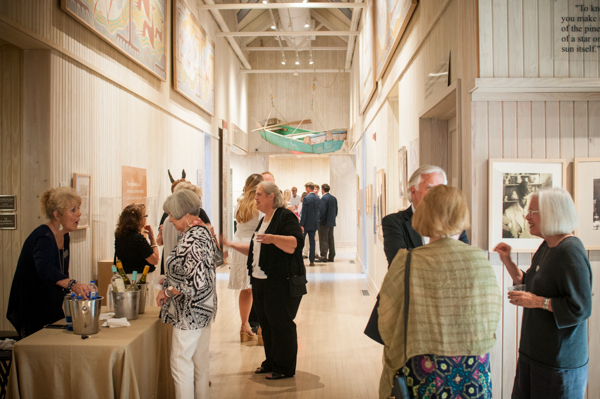 With help from the Mississippi Department of Archives and History and the Gulf Coast Community Design Studio, great care was taken to preserve the midcentury character of the building, including restoration of the interior wood veneer paneling and water fountain. While many buildings associated with the struggle for civil rights have been lost, Dr. Mason’s office will remain as a testament of his work for equal rights for all through non-violent means. When David Rich decided to start producing the first bourbon whiskey ever made in Mississippi, he enlisted the help of his dad. The two were committed to locating the distillery in a historic building, because, in David’s words, “renovation projects are fun, there’s a lot of history involved and the buildings have more of a story and character then new construction would have.” After two years of hard work, an investment of $650,000 and the help of historic tax credits, Rich Grain Distilling Co. opened in “The Hollow”, Canton’s historic African American commercial and civic neighborhood. 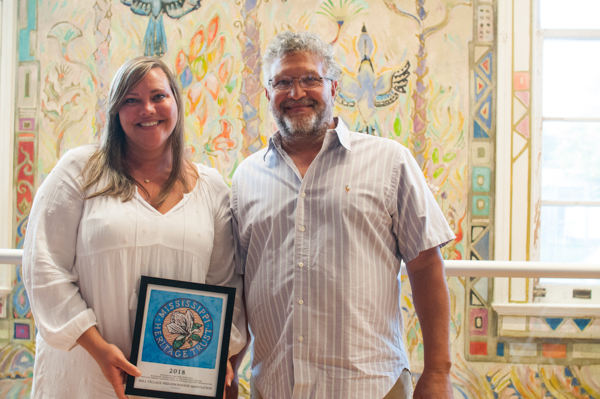 In addition to turning out delicious concoctions such as coffee flavored vodka and corn whiskey, the tasting room has been host to visitors from around the world and serves Canton as a great new “third place”. In their rehabilitation of this 1960s structure, WBA respected the clean lines of 2727 Old Canton Road while making it functional for today’s needs. The new building entry, which houses stairs that lead up to the fab rooftop terrace overlooking Fondren, also serves as a gallery, where William Goodman’s luminous works of art are shared with passerby. With the help of historic photos and Sanborn maps, the Crosby Building, located on the square in Canton, once again sports a lovely iron balcony, along with original wooden trim and windows and heart pine floors. Utilizing historic tax credits, great care was taken to retain the original materials and honor the history of the building in the extensive restoration. In 2016 Carol and Doug White purchased the 1905 Hedesdorffer Building and set about addressing years of neglect. With Carol as the designer and general contractor, the Whites carefully preserved the original fabric of the building while creating retail and loft space on the square in Canton. While some may have counted this once-grand mansion on State Street out, Holt and Meagan Beasley and Holt’s mother Carol saw potential. With help from historic tax credits, the Merrill Beasley House, as it is hereafter to be known, has gone from endangered back to elegant. Brandon is hopping these days, thanks to the Wierhouse. Built around 1880, the building has been a mercantile store, makeshift jail, doctor and lawyers offices and hardware store. When Jamie Wier saw the building at a Christmas parade, he knew it could be something special. 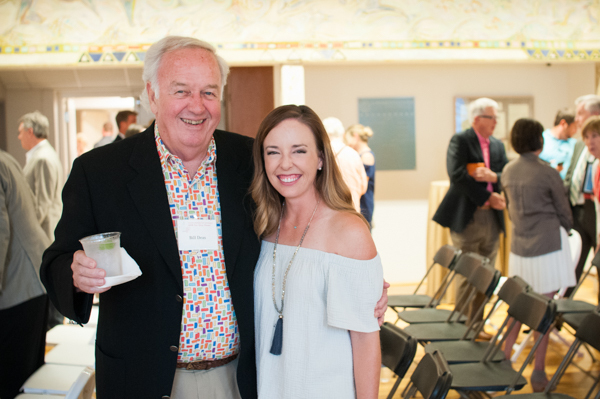 The restoration of the building, which included using historic tax credits, was a family affair, with Jamie’s father, brother and wife pitching in. Now the building is a restaurant, bakery, speakeasy, hotel and apartments, as well as Jamie’s home. With Deborah Bailey as general contractor, chef and downtown impresario, a team of local craftsman descended on derelict 120 Green Street, stabilizing the structure to include rebuilding exterior brick walls, replacing the collapsing roof and rebuilding the rotten interior walls and floors. What was nearly a lost cause is now Molly’s Place, a bar and grill named for Deborah’s pioneering aviator mother-clearly some strong genes in the Hicks women. 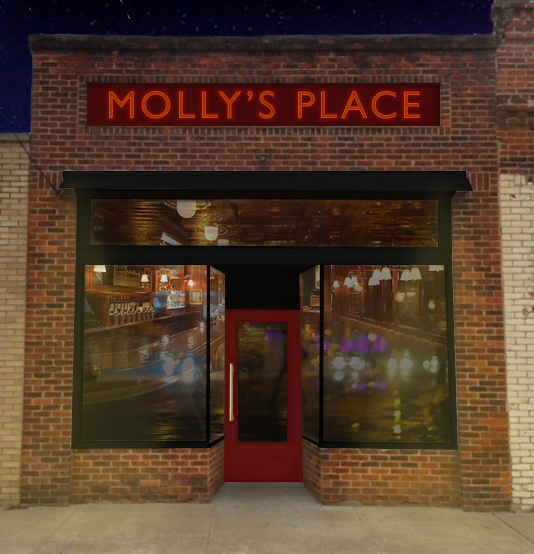 With Molly’s, another brick is in place in the ongoing renaissance of downtown Grenada. The $2 million-dollar restoration of this circa 1905 coast icon began in 2012 and included getting the building listed on the National Register of Historic Places in order to qualify for historic tax credits. 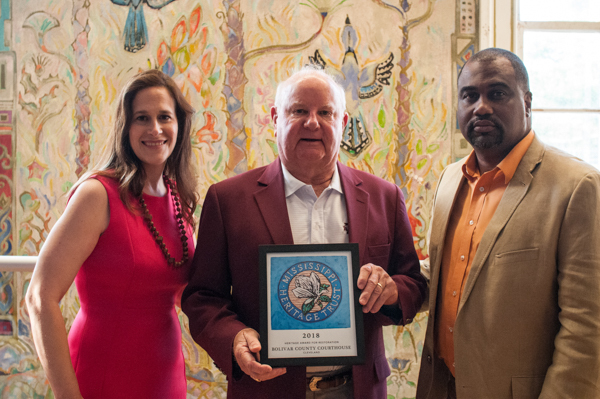 The Mladnich family wanted to continue the White Pillars’ thirty-year legacy of great food and hospitality, which is where Mississippi native Chef Austin Sumrall and his wife Tresse came in. Today, the building again shines as one of only two neo-classical revival mansions left on the Biloxi coast. 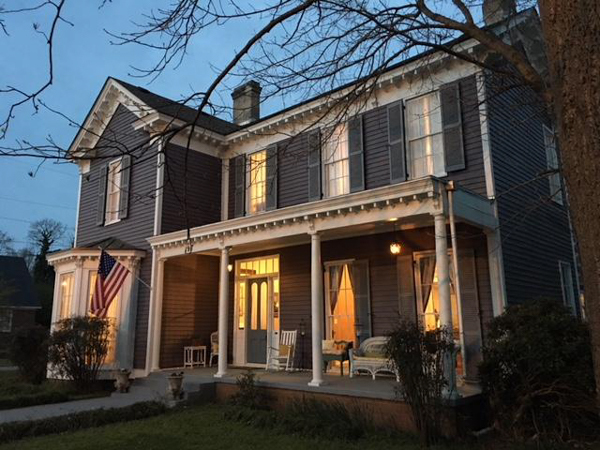 Purchased by Stephen and Suzette Woodgate in 2008, the 1871 Wynne House in Holly Springs has undergone an extensive restoration, which included the removal of the dreaded aluminum siding, and in 2016 opened its doors as a bed and breakfast. When Belhaven and Belhaven Heights were listed as one of Mississippi’s 10 Most Endangered Historic Places in 2000, there were numerous houses in need of restoration. While many of these houses have found good owners, the house at 1335 Linden Drive was in sad shape, sitting vacant for over 15 years. Formerly owned by the Fyke family, when the house recently came on the market, descendants of the original owners jumped on the opportunity to buy the house back into the family. Now lovingly restored, the Fyke House is once again in good hands. Dating to the founding of Biloxi in the early 1700s, the Moran Site is among the oldest and most significant French colonial sites in the United States. The loss of the Moran Art Studio in Hurricane Katrina left the cemetery uncovered and allowed for an archaeological exploration of the site, where over thirty colonists were buried. Today, the site is identified with a memorial garden, historical marker and signage and a weeping angel statue. 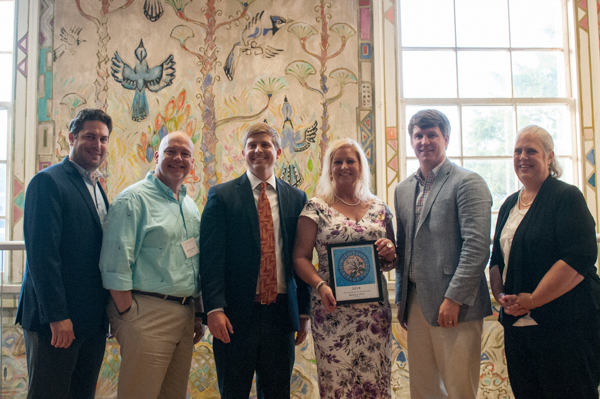 This project is a testament to the power of partnership and was made possible by funding from the Coastal Impact Assistance Program through the City of Biloxi, MS Gulf Coast National Heritage Area and the MS Department of Marine Resources. 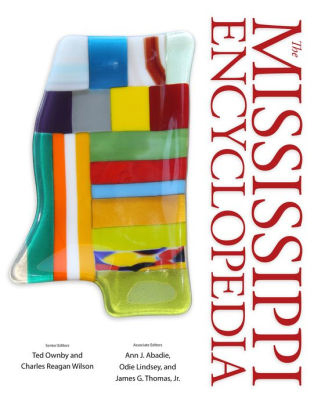 Published to great acclaim in 2017 as part of our Bicentennial celebration, the Mississippi Encyclopedia has 1400 entries, 1450 pages and 650 contributors. This grand tome contains numerous entries on architecture, including grand buildings and places associated with famous and infamous people and events. 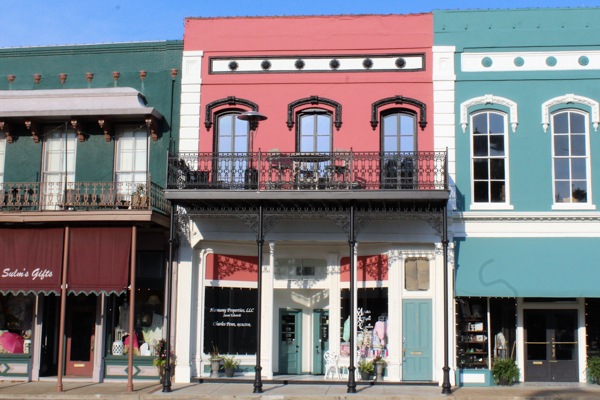 By putting stories about place in a setting with so many other entries, the Mississippi Encyclopedia encourages readers to think about the ways that various issues are related and learn to place a value on the built environment. 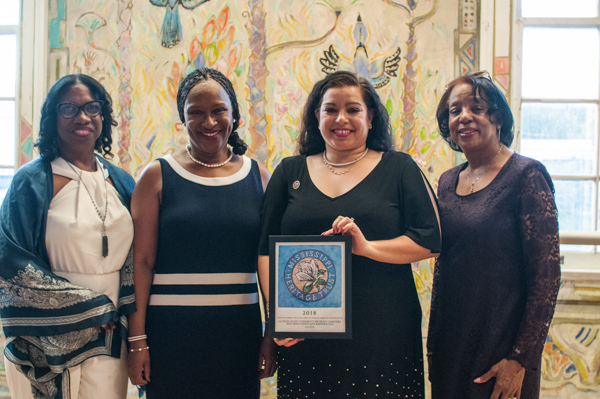 Using the art of storytelling as a way to process past pain and imagine new ways to move the Sumner community forward, the Emmet Till Memorial Commission and Blue Magnolia Films are working with youth to create a series of documentaries that focus on arts and racial healing. For Alison Fast and Chandler Griffin, Mississippi’s Bicentennial was the perfect opportunity to visit 13 Mississippi cities and capture 100 photo essays of people and place. From the historically African American town of Mound Bayou in the Delta, where Myrna Smith-Thompson’s rallying cry of “More Than a House” is recruiting advocates to restore the Isaiah T. Montgomery House, to here on the coast with Mary Anderson Picard’s poignant plea to save Oldfields, Alison and Chandler have given Mississippi an invaluable gift that we have just begun to unwrap. The oldest known structure in the Mississippi River Valley, the La Pointe Krebs House has an important story to tell. 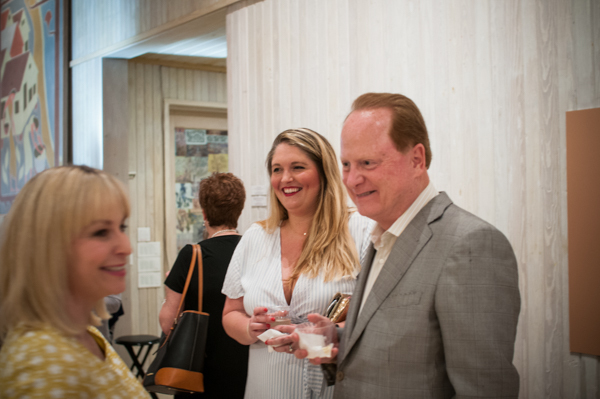 While work continues on the restoration of the Katrina ravaged house, Pascagoula preservation advocates opened the newly restored LPH House Interpretive Museum on July 1, 2016 to rave reviews. 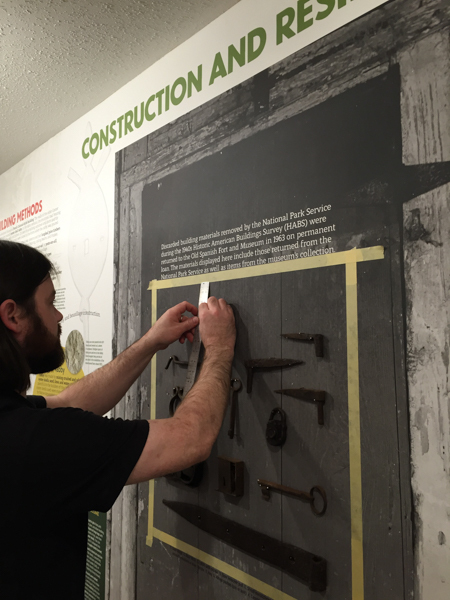 The museum takes visitors on a trip to Hugo Krebs’ cotton gin and demonstrates tabby and bousillage construction methods. 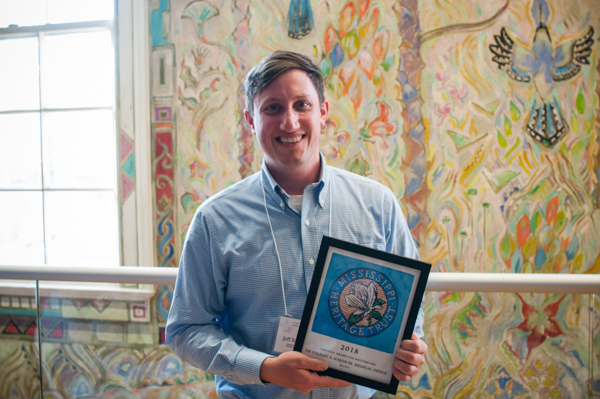 During the past two years, every fourth grade student in Pascagoula, Moss Point and Gautier have visited the museum. 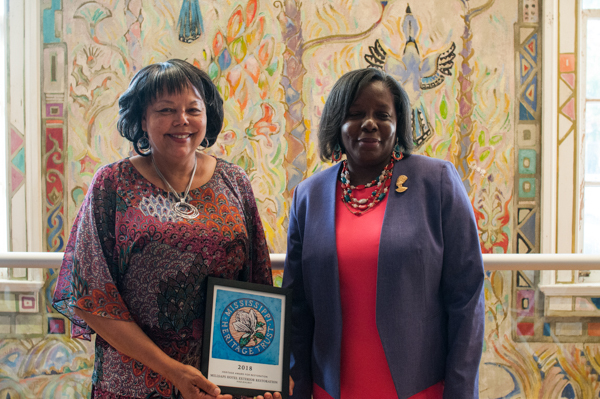 When considering this nomination, members of the jury unanimously remarked on the care that was taken in developing the exhibits to include connections of story to place and encouraging visitors to get out and explore the buildings and communities where history happened. 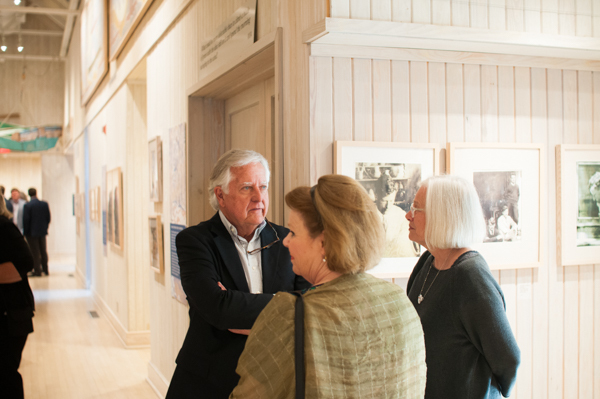 In the three months since the two Mississippi museums opened as the culmination of our Bicentennial celebration, more than 100,000 visitors have walked through their doors and have left informed about Mississippi’s important architectural legacy. Thank you to the state of MS and the MDAH for making this $110 million investment in our future. Now in its 10th year, the Biloxi Historic Cemetery Tour, organized by the Preserve Biloxi Committee, welcomes thousands of visitors to Biloxi’s historic cemetery for two tours each fall to learn about history through the eyes of Biloxi’s mayors, restauranteurs, shrimpers and all around colorful characters. While the event is free, donations are collected and has raised more than $20,000 to help restore tombs and headstones. 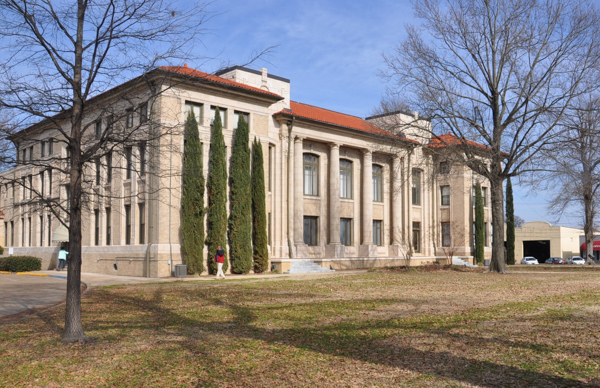 With over seventy historic structures dating back to 1927 in its care, the Mississippi State Hospital in Whitfield has made a strong commitment to the preservation of its “southern colonial” campus, designed by N.W. Overstreet. Working with Belinda Stewart Architects, the development of a strategic plan has helped to continue the guiding philosophy of reuse and repair rather than replace. The recent restoration of the cupola of the Administration Building is a fitting symbol of the stewardship that the Mississippi State Hospital has taken with the historic buildings in its care. It wasn’t enough for Nancy and Bill Howard to complete a meticulous restoration of the 1842 Sedgewood Plantation-they wanted to ensure that the house and 686 surrounding acres were preserved for future generations. Giving consideration to the explosive growth in Madison County, they have donated a preservation easement to the State of Mississippi, which is the largest and most thoroughly documented donation ever made. 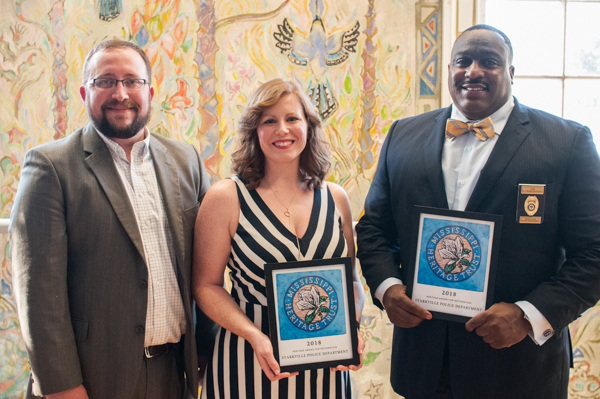 From their commitment to restoring the King Edward Hotel to the recent completion of the Capitol Art Lofts, HRI Properties of New Orleans is invested in our capitol city. This $11 million-dollar project used historic tax credits and low income housing tax credits to transform seven historic buildings into 31 apartments for artist housing. The project also include space for the artists to exhibit their work, another bonus for downtown Jackson. Some guys might want to get a few deals under their belts before diving off the deep end-not so Bill Boykin. Utilizing New Markets and historic tax credits, Bill’s $9.1 million dollar Lofts at 517 has brought new life to downtown Greenville. 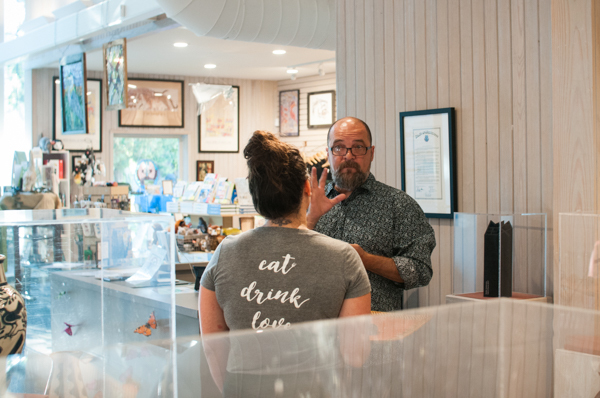 These days, you can find Bill greeting guests at the Downtown Grille and taking orders at the Butcher shop. Friends bought into the project in a tangible way by renting loft apartments created in the old Sears Building. 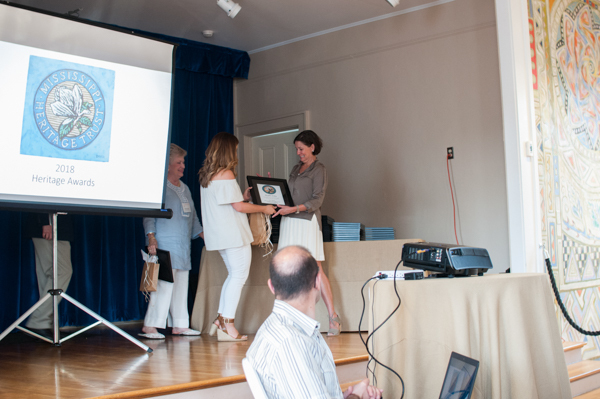 Founded on July 4, 2016, the Heritage Guild of Vicksburg and Warrant County is jumping in with both feet to address blight and rescue historic places in Vicksburg. It all started with 1019 Adams Street, which had been vacant for 15 years and is currently undergoing an extensive restoration and is continuing with the Isaacs House. These are smart developers, married with a passion for preservation. During its twenty-nine-year history, HOSA has contributed $660,000 to projects to their community. 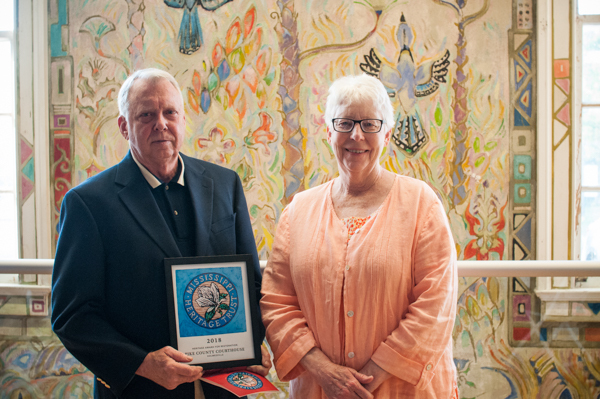 From being an early champion for the now-indispensable Mary C Cultural Center, the inspiring PAPOS public art project to its commitment to maintaining Marshall Park as the welcoming entrance to Ocean Springs, HOSA has more than fulfilled its mission to recognize, promote and protect the unique artistic culture and historic charm of Ocean Springs. Founded early 1900s as a neighborhood for mill workers and their families, Mill Village was once plagued by social and physical deterioration. Not anymore. 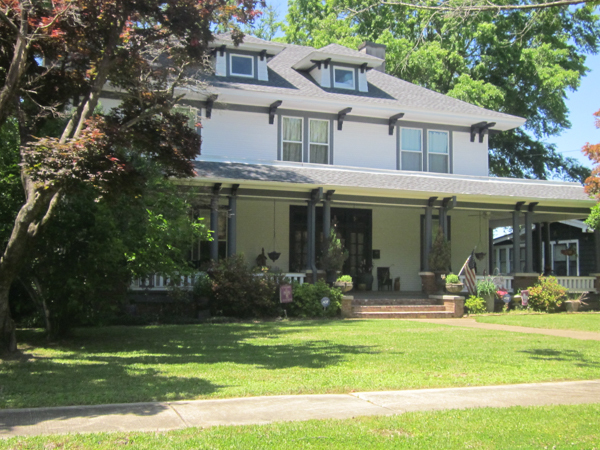 The Mill Village neighborhood was listed on the National Register of Historic Places in 1992 and is also a local historic district, with changes to buildings coming before the Tupelo Historic Preservation Commission. Residents had demonstrated commission has issued sixteen Certificates of Appropriateness for the rehabilitation of historic for also great indicators of the revival of Mill Village. Established in the early 1800s, Mt. Olive Cemetery is one of the oldest private cemeteries for African Americans in Mississippi. Suffering from years of neglect, many of the markers and mausoleums are missing or damaged. 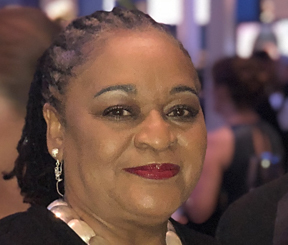 In steps in Jackson State University, which recently completed a full documentation of the 1,400 names of people people buried in the cemetery and publication of the Mt. Olive Cemetery Research Book, along with the restoration of the only two known historic statues of African Americans in Mississippi. Future plans include a fundraiser to help restore grave markers. Constructed in 1903, our beautiful Beaux Arts capitol was in dire need of some attention-time and persistent water leaks had taken their toll. A team of seventeen preservation firms led by WFT Architects went to work and, six years and 10 million dollars later, everything from the gilded eagle to the stunning stained glass is sparkling. 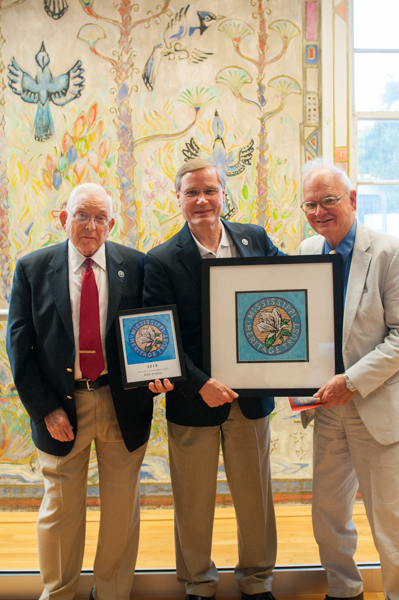 Thank you to the State of Mississippi for this incredible Bicentennial gift. She may call herself an archaeologist, but Jessica Crawford is preservationist to her very bones. 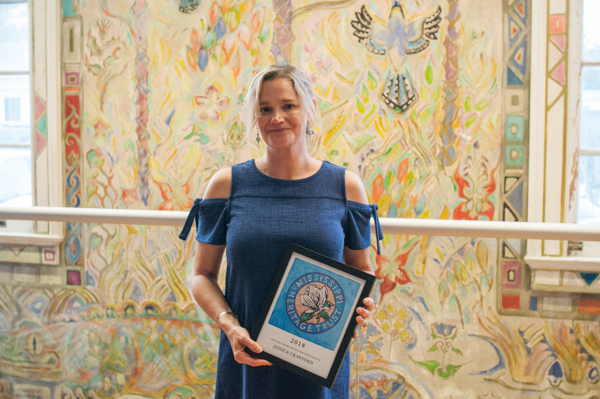 When not traveling the country as the southeast regional director of the Archaeological Conservancy, Jessica is giving her time, sweat and tears to saving Prospect Hill in Lorman. Jessica is the reason this historic place has a hopeful future. 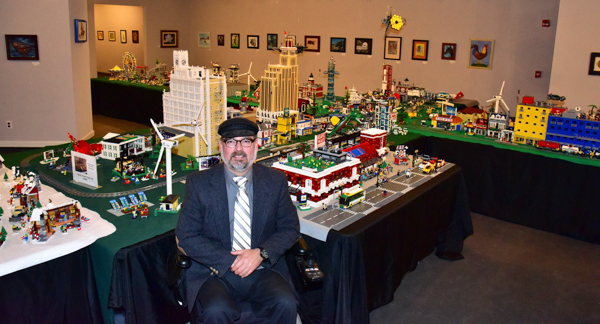 With a vision for a beautifully restored, fully accessible Jackson, Dr. Scott Crawford is sparking curiosity in young and young at heart through a city of Legos. Thank you to Dr. Crawrd for helping us to see our capitol city with fresh eyes. Liz Ford is the cement that holds historic Pascagoula together. 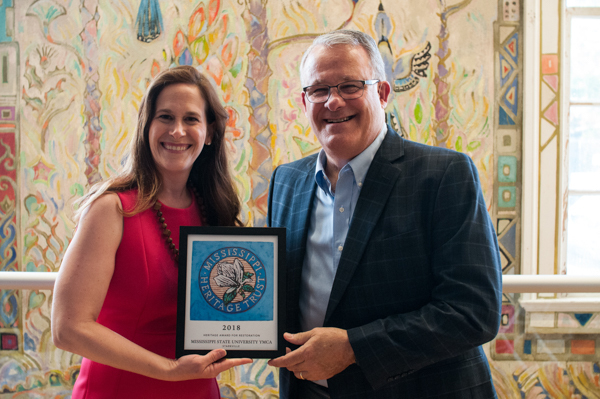 When not championing the preservation of historic places like the Round Island Lighthouse and the La Pointe Krebs House, Liz is busy at work as president of the Pascagoula Historic Preservation Commission and secretary of the city’s Strategic Plan Steering Committee. 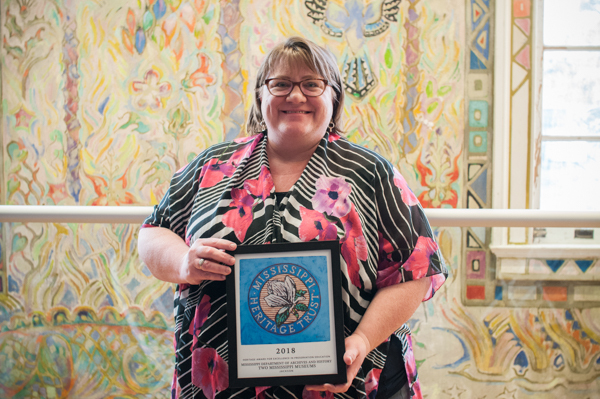 Nominated by Rebecca Davis, Pascagoula Main Street Director, who wrote “if historic preservation wore a cape, it would have Liz Ford’s picture on it”. When you have great preservation news, you need to shout it from the rooftops. 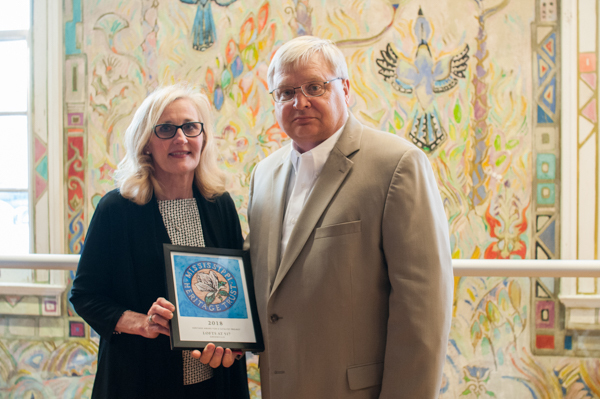 During careers as news director and anchor of WTOK News and now executive to the Mayor in Meridian, that is just what Barbara Ray Kidd has done. 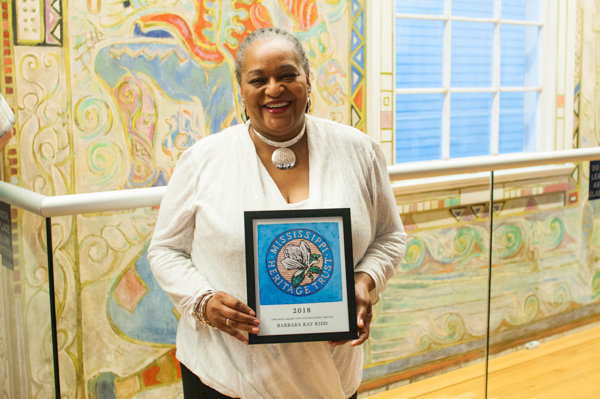 With an emphasis on stories that promote historic places such as Wechsler School and the Civil Rights marker trail, Barbara has done her part to promote a healthy preservation ethic in her hometown. 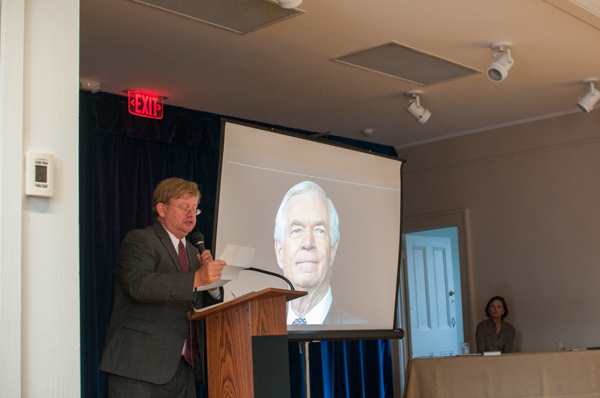 During his long and illustrious career, Senator Thad Cochran has done many great things for our state, including championing funding and initiatives that will help save the places that define Mississippi. 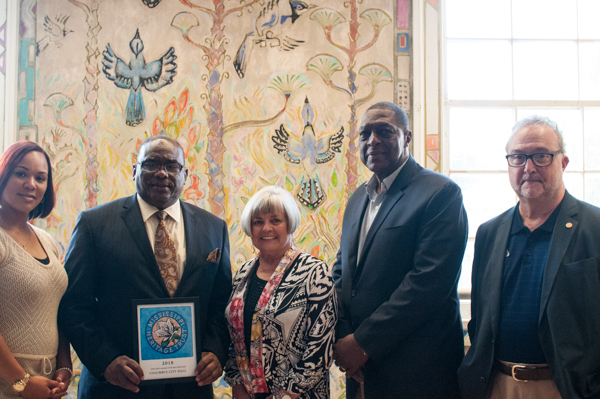 Through his efforts, the National Park Service Civil Rights Grant Program was created and will help fund projects like the rehabilitation of the Isaiah T. Montgomery House in Mound Bayou. 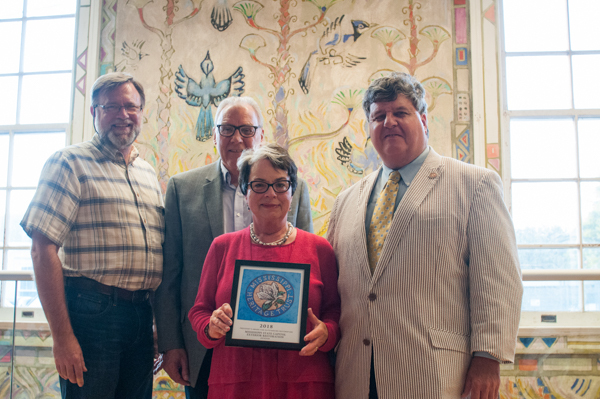 This most prestigious award recognizes an individual’s lifelong achievement and leadership in both state and national preservation arenas and their service to the Mississippi Heritage Trust. 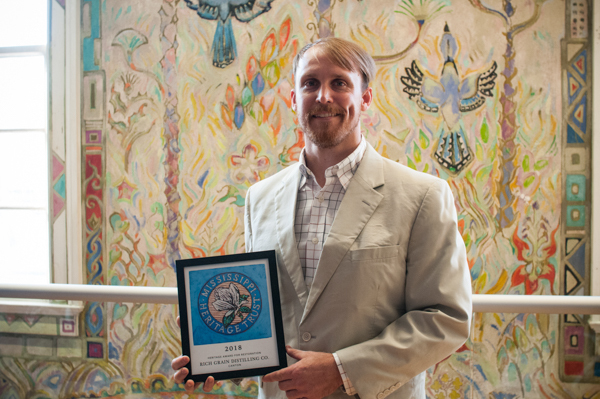 This award was presented to Ken P’Pool, Deputy State Historic Preservation Officer for the Mississippi Department of Archives and History. 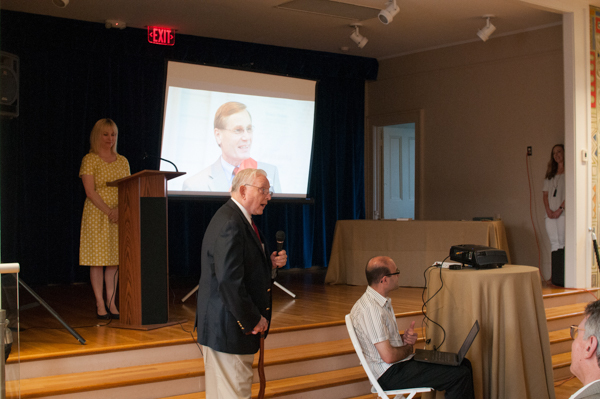 In the Mississippi Heritage Trust’s 26-year history, there never been a time when Ken P’Pool has not been there to help in a meaningful, roll up your sleeves kind of way. 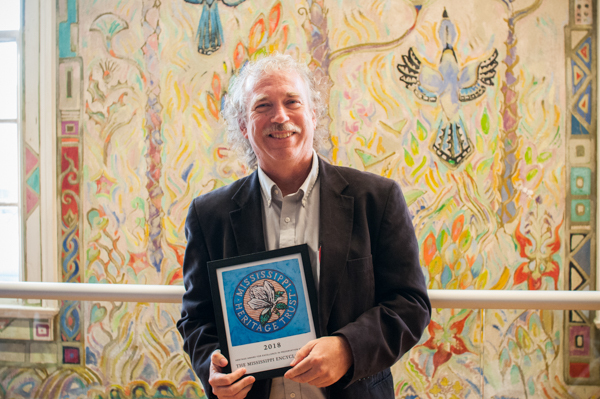 From tending bar and washing dishes after an event to serving as chair of the 2015 10 Most to the countless board and committee meetings, Ken is there with his smile and MHT lapel pin shining bright. 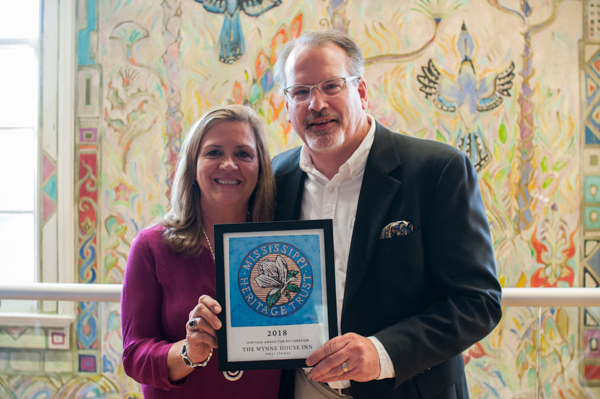 Thank you Ken for always being a champion for preservation in Mississippi.